This is a wrap necklace which I think is fun. You can wear it any way you like, totally long or wrapped 3 times. 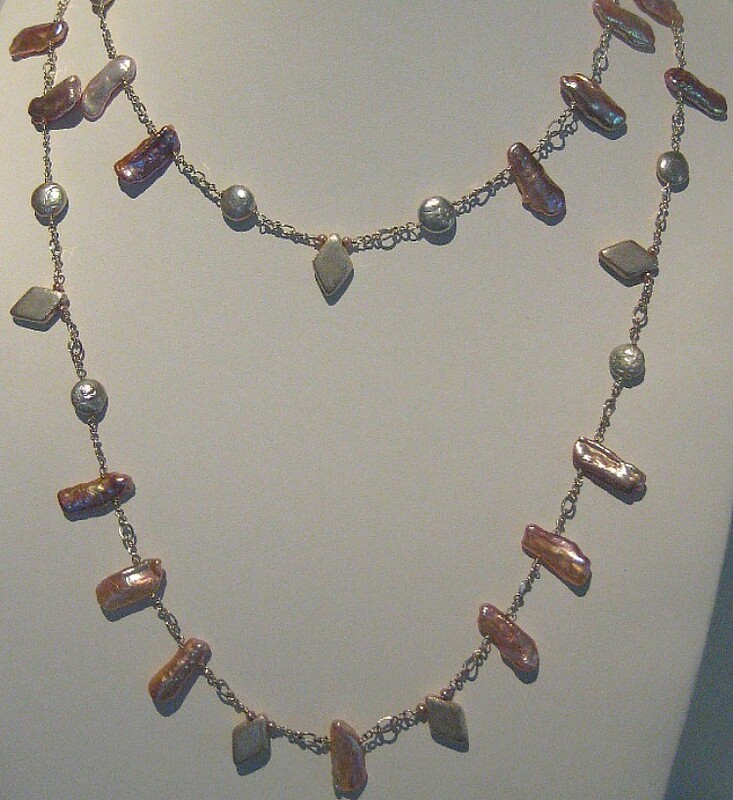 I used pink stick pearls, light silver color button pearls. 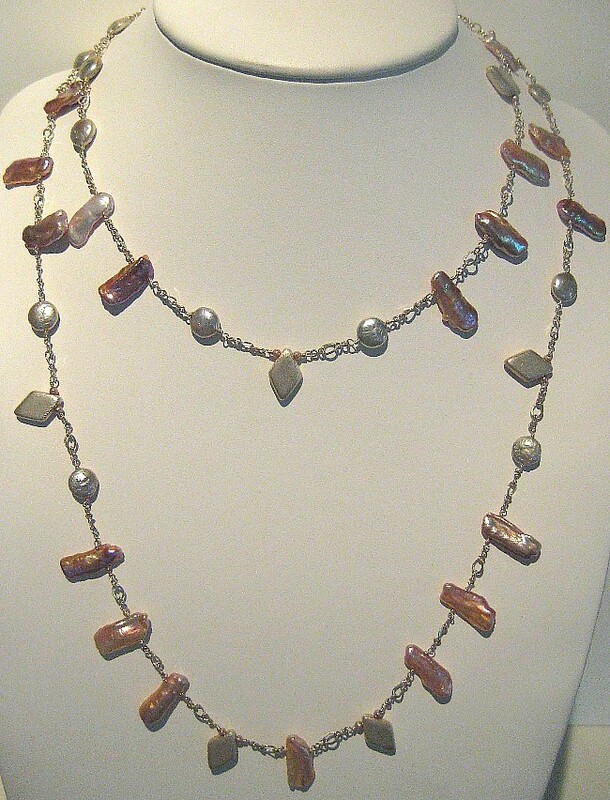 Sterling silver chain and sterling silver diamond shape beads. I wish I had this on a model, this was the best I could do. When it’s on, the pink pearls really do create a fringe’d look. i love that subtle pink colour!